PhD Fellowships In Biomedicine, 2019 is offered for PhD degree in the field of Biomedicine. You can apply to this scholarship here. The deadline for the sending your application is 01 Jun 2019. This scholarship is provided by The Boehringer Ingelheim Fonds (BIF) and the value of this scholarship is Partial Funding, a competitive monthly stipend . 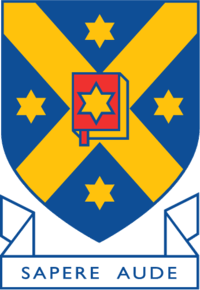 This scholarship is open for: Open to European citizens working in Europe or overseas, and to non-European citizens pursuing their PhD project in Europe. The Boehringer Ingelheim Fonds (BIF) is offering Ph.D. fellowships to junior scientists to pursue basic biomedical research in an internationally leading laboratory for 3 years. The deadlines for applications are 1 February, 1 June, 1 October of each year. The candidates applying for Ph.D. Fellowships in Biomedicine, 2019 should be European students working overseas or in Europe or non-European citizens pursuing Ph.D. in Europe. The applicants should not be more than 27 years old at the deadline. The candidates who have not received their MSc certificates can apply only if they can provide their certificates within 4 months after the deadline. The applicants who are pharmacists, veterinary surgeons, or physicians should have passed the state examinations. The applicants should not work on their projects for more than 6 months at the deadline. The candidates can apply for the fellowship at the beginning of their Ph.D. project. The beginning of the project is the final examination date on the official certificate, the month of arrival at the laboratory. The candidates applying for Ph.D. Fellowships in Biomedicine, 2019 are assessed based on their achievements like grades. The applicants are also evaluated on the basis of the scientific quality of the proposed project and the laboratory's scientific standard. The applicants for Ph.D. Fellowships in Biomedicine, 2019 should submit title and summary of the project not exceeding 1400 characters. The candidates should submit a detailed presentation of the project, a summary of the final thesis in bachelors or master's or diploma. The applicants should also provide a publications list, academic transcripts, and recommendation letters. The recipients get a competitive monthly stipend for 2 years and can be extended up to another 12 months. The recipients' participation in international conferences will be supported. The last date to apply for PhD Fellowships In Biomedicine, 2019 is 1st June 2019. Application was submitted in January, 2019. Application was submitted in April, 2019. 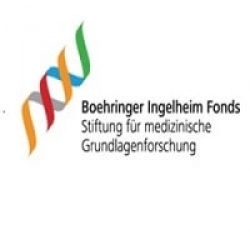 Do you know about The Boehringer Ingelheim Fonds (BIF)? Yes, you can secure an education loan to study abroad at The Boehringer Ingelheim Fonds (BIF). Education loans are of two types- Collateral and non collateral. Collateral includes either: Immovable property – a house or a flat or land (or) liquid security – an FD, or LIC or shares or bonds. Agricultural lands are not accepted by any bank for education loan. When is the deadline of PhD Fellowships In Biomedicine, 2019? For which degree is PhD Fellowships In Biomedicine, 2019 offered for? For which field is PhD Fellowships In Biomedicine, 2019 offered for? Who can apply for PhD Fellowships In Biomedicine, 2019? Who is offering PhD Fellowships In Biomedicine, 2019? What is the funding covered in PhD Fellowships In Biomedicine, 2019? Where can PhD Fellowships In Biomedicine, 2019 can be taken at? What are the other scholarship for Biotechnology, Biomedical and other related students 2019? What are the other best scholarships at The Boehringer Ingelheim Fonds (BIF)? What are the other scholarships for PhD Biotechnology, Biomedical and other related students? What are the other PhD scholarships in The Boehringer Ingelheim Fonds (BIF)?